I’ve put together a list of 12 foods and drinks that either have a surprising amount of sugar or to be careful of added sugar. I’m sure there’s at least one food in here that will surprise even the most savy shopper! If you look at the sugar content of some yogurts in the supermarket, you might think you're in the dessert aisle. Yogurt is marketed as a healthy food, but a study published this week in the British Medical Journal is the latest that not all yogurts are created equal. Most dairy products contain a naturally occurring sugar, lactose, that is included in the total sugar count. That’s not the concern, the added sugar is. So how can you tell what kind of sugar you're getting? In Greek yogurts, there may be 4-6 grams of naturally occurring lactose and 8- 10 grams in non-Greek yogurts. Anything above that is likely added sugar. By January 2020, most companies will be required to use the Food and Drug Administration's new nutrition labels, which spells out added sugars. The healthiest yogurts are plain, unsweetened yogurts and Greek yogurts. Top them with fresh or frozen fruit or cinnamon, that way you know exactly how much sugar is in your yogurt. Granola is one of those foods we like to think are healthy, but the reality is that most of them aren’t any better than sugary breakfast cereals. Often two of the first five ingredients are sugar and if they have dried fruit, chances are they were also made with added sugar. I really enjoy granola so my suggestion is to carefully read the labels and watch out for those portions or make your own! Chai lattes, matcha lattes, iced coffees and other blended coffee drinks, unless you specifically ask, are loaded with added sugar. Even the almond, soy and coconut milk in fancy coffee shops is sweetened because the sugar helps these milks froth better. As an example, a Starbucks Grande Iced Coffee with Coconut Milk contains 23g of sugar! Always specify unsweetened and ask to see the label on the nut milk. Barbecue sauces tend to be a bit sweet, so this may not be that surprising. But what is surprising is just how much sugar there is in a small amount of sauce (about 10g/2 tbsp). Making your own barbecue sauce sounds tedious but if it’s something you use regularly, I recommend giving it try. The healthier recipes usually contain maple syrup with is a better alternative and you can reduce the amount if you’re trying to cut back. Added sugar aside, cereal is pretty much just straight carbs which is a recipe for energy crashes and cravings throughout the day. I really recommend steel cut oatmeal or old fashioned oatmeal with some raw nuts and seeds. Many protein bars are comparable to chocolate bars. Unfortunately, eating too many of the low sugar ones sweetened with sugar alcohols isn't that much better. The problem is that sugar alcohols are incompletely broken down in your digestive tract and can ferment, leading to gas, bloating and digestive issues. I recommend that protein bars be used as a last resort when you don’t have immediate access to a healthy snack or meal and choose ones with real food ingredients you can pronounce and higher protein than sugar. This one may seem obvious, but you’d be surprised how many people still think juice is a better choice than soda. The reality is that juices are just a concentrated form of sugar without any fiber, which can send your blood sugar (i.e. mood, energy, weight) on a roller coaster. Unless it’s a raw green juice, I would skip it. 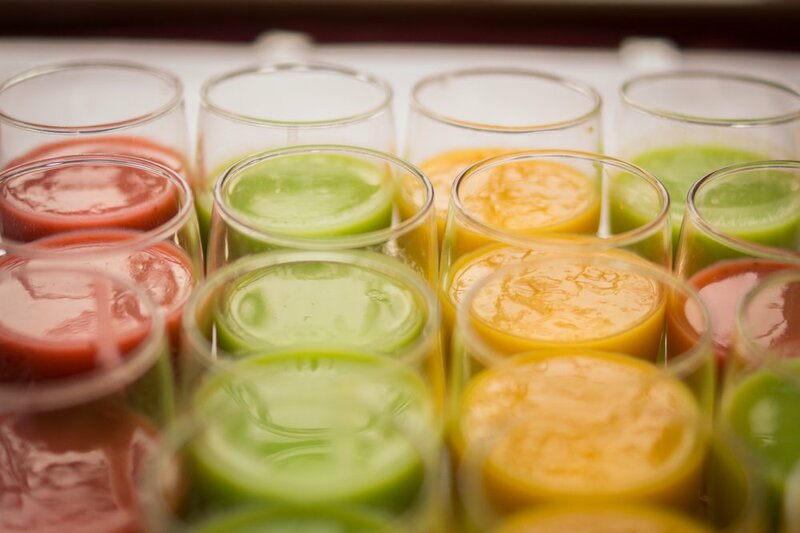 Smoothies can be an excellent high protein, satisfying breakfast for those of you on the go but most people put way too much fruit and not enough protein and healthy fats. I recommend no more than ½-1 cup of fruit per smoothie, balanced by 15-20 grams of protein and a tablespoon or two of healthy fats. Be mindful of smoothies you get from the bar at your gym, where you may not know the type of protein powder or add-ins they’re using. 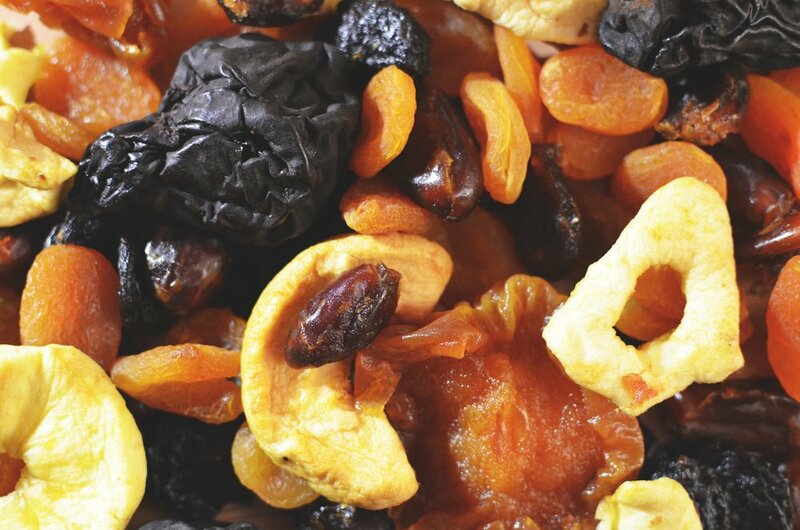 Dried fruit is another common hidden source of sugars. Be mindful when buying granolas or trail mix with dried fruit as they generally have the sweetened ones. Always look for unsweetened. It's sweet enough without extra sugar. Many granola bars are just chocolate bars in disguise. A good rule of thumb for snacks is to choose something with a greater protein content than sugar and ideally minimal added sugars. Aloe juice drinks, cold herbal tea drinks (ex. Pure Leaf Tea), Vitamin Water and other ‘health drinks’ are a major source of added sugar. Try to stick to lemon water or make a big batch of herbal tea and keep it in the fridge if you really don’t like the taste of plain water. I know this list can seem discouraging but there are healthy, low sugar alternatives to nearly all these foods and drinks. While reading this, if you realize there may be more sugar that has made its way into your diet than you previously thought, join us for A Sugar/Healing Detox - a 5 day reset to feel energized, lighter and happier. You’ll get a meal with recipes, a grocery list, and daily tricks to help you kick sugar once and for all. JOIN US OCTOBER 15th for A Sugar/Healing Detox. 5 days of A Sugar/Healing Detox with recipes, meal plan, and grocery list! Join us for a 5 day reset to feel energized, lighter and happier! Kick your sugar habit with these delicious recipes.It's only 5 days and $10 you really have nothing to lose (except maybe some sugar cravings!). Click here to sign up and join us for A Sugar/Healing Detox now. We start Monday October 15th. 4. Daily email with tips for curbing cravings, reducing sugar intake and boosting your energy! **If you're away or unable to start October 15th, you can save the program and start for when it works for you!